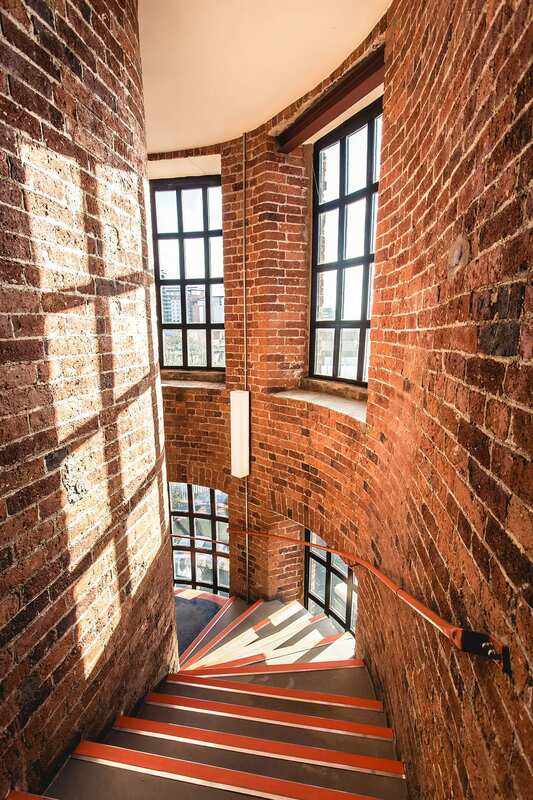 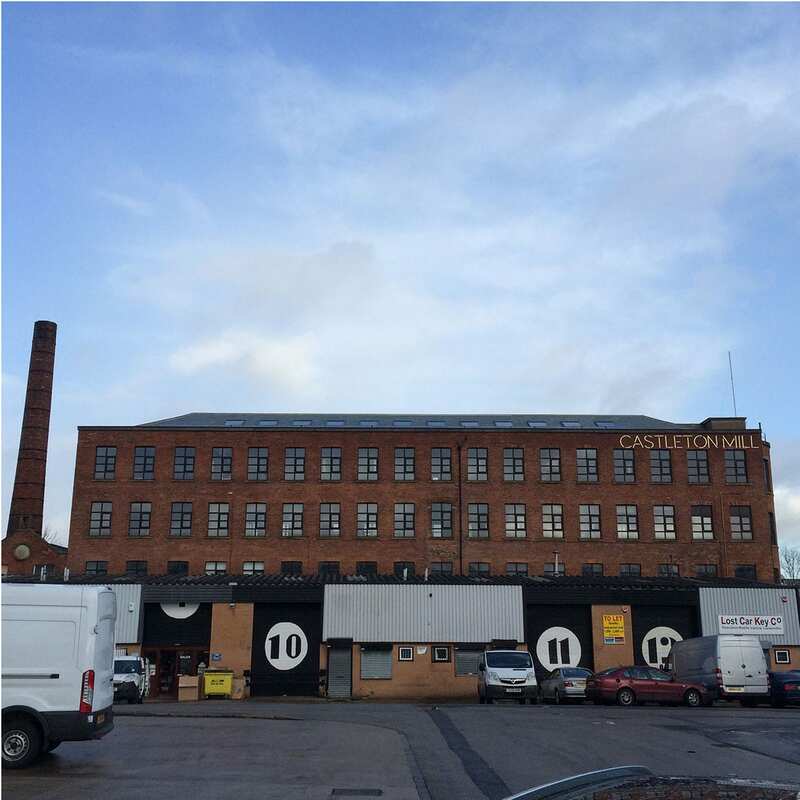 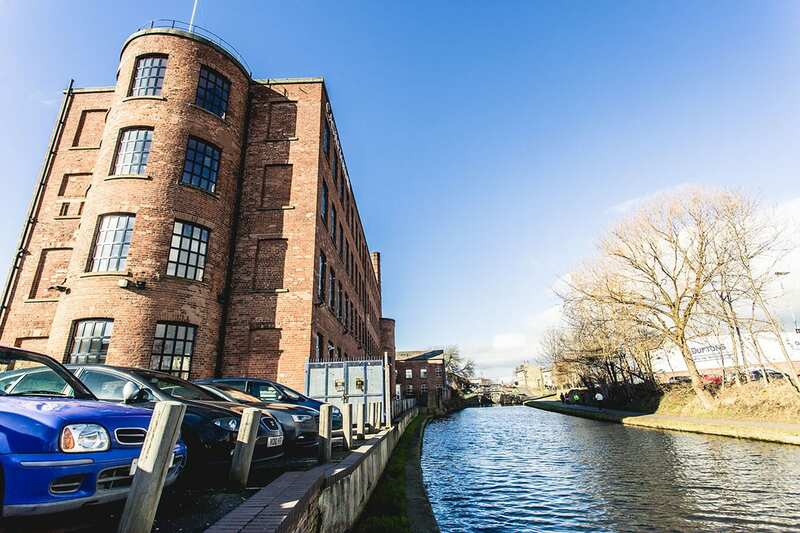 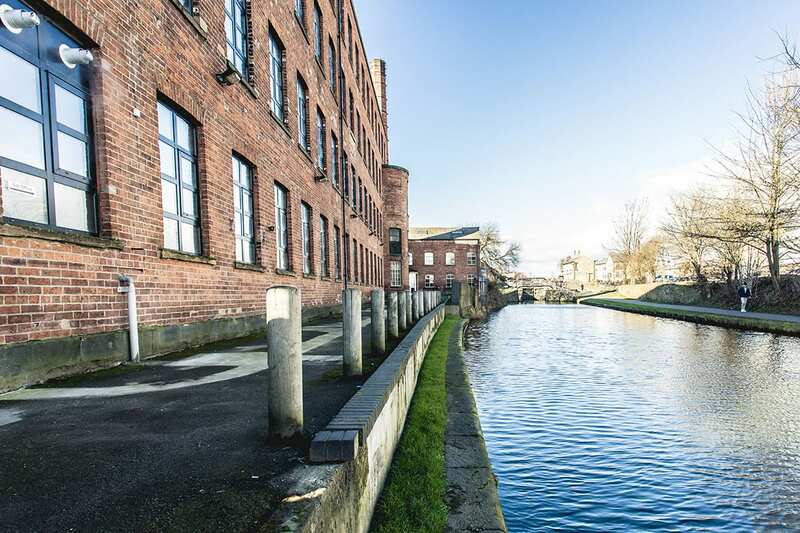 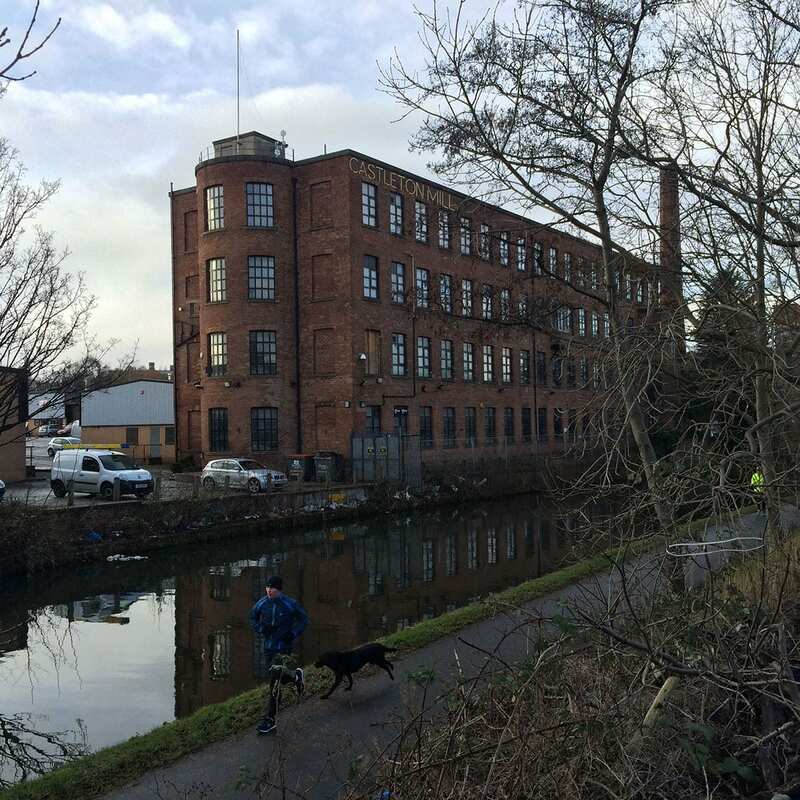 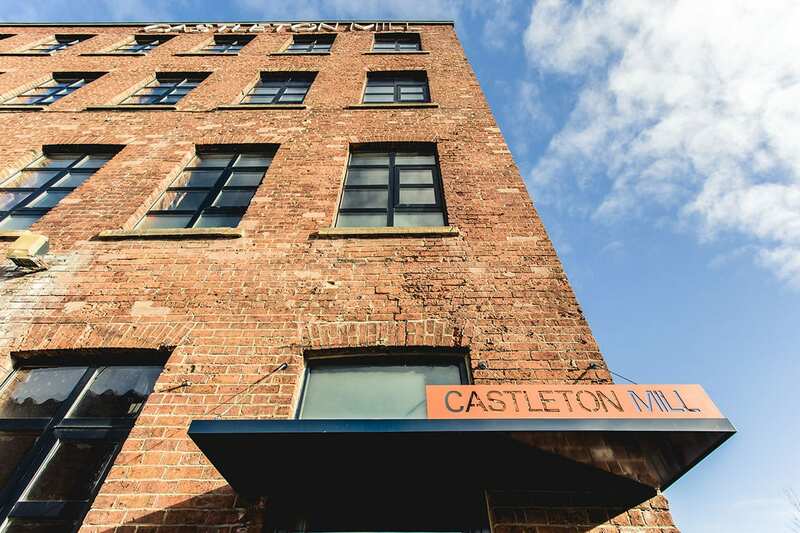 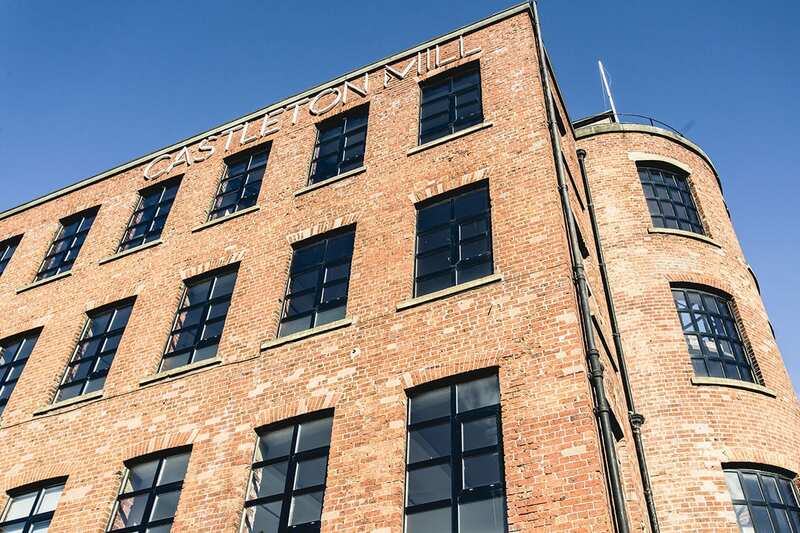 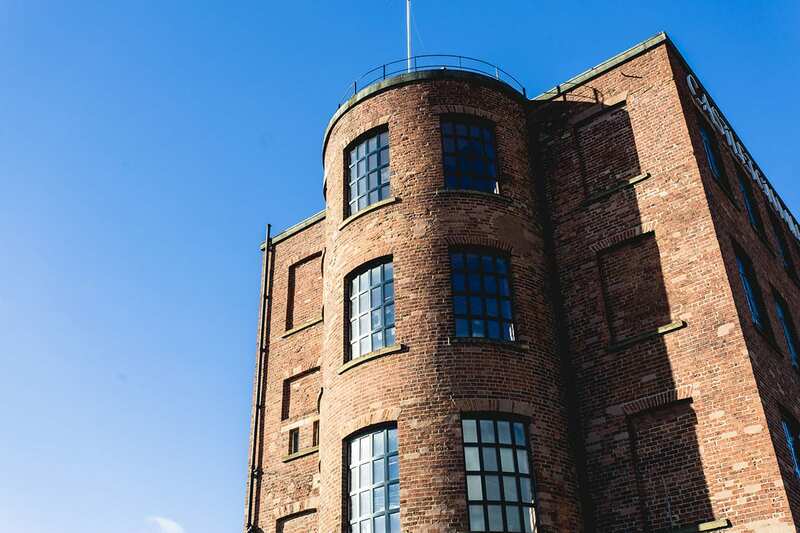 Castleton mill is a grade two listed original flax mill, situated on the fringe of Leeds city centre. 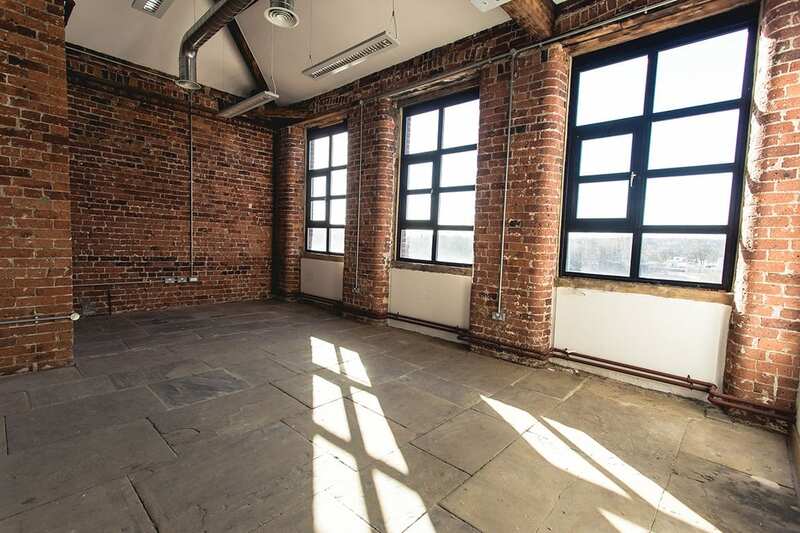 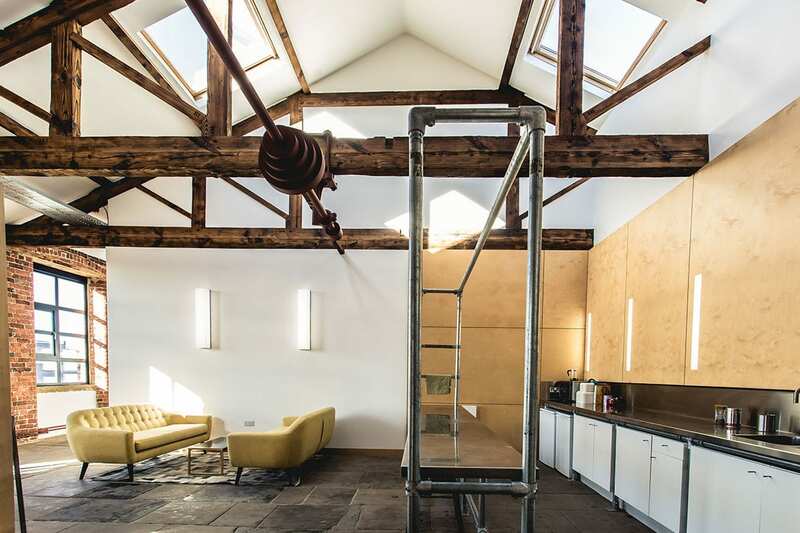 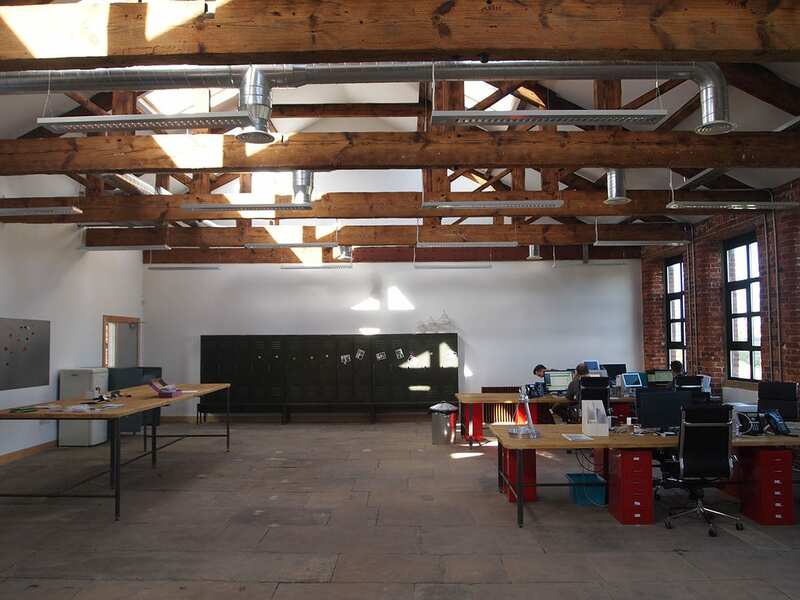 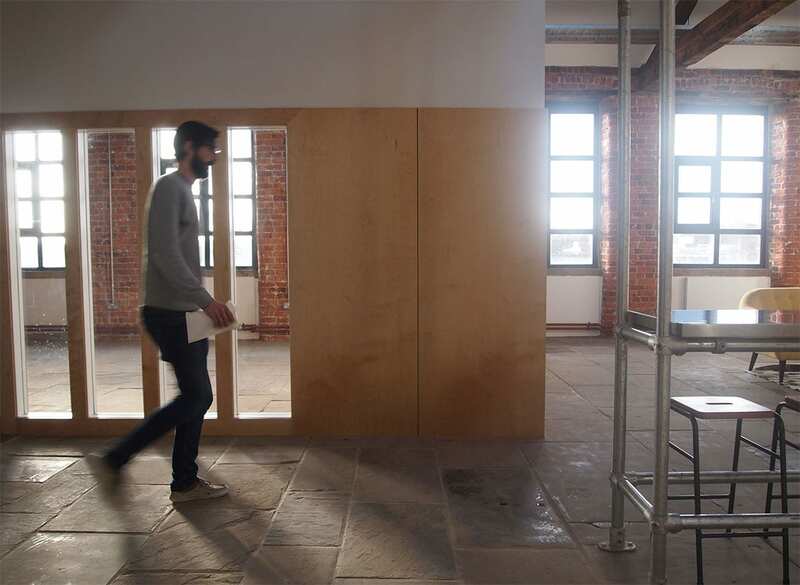 It has been re-purposed as a collection of creative work spaces and studios that are high quality yet affordable. 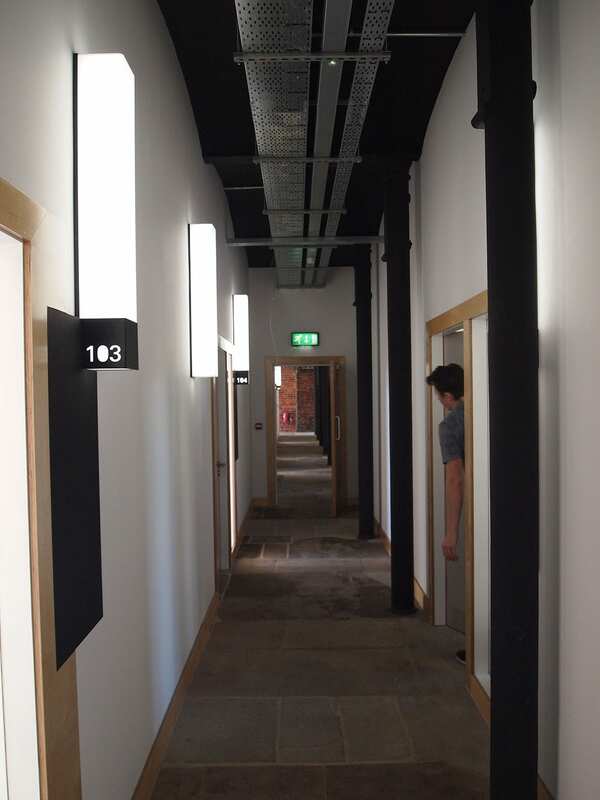 Architectural Emporium have designed building interiors and the new external branding and signage. 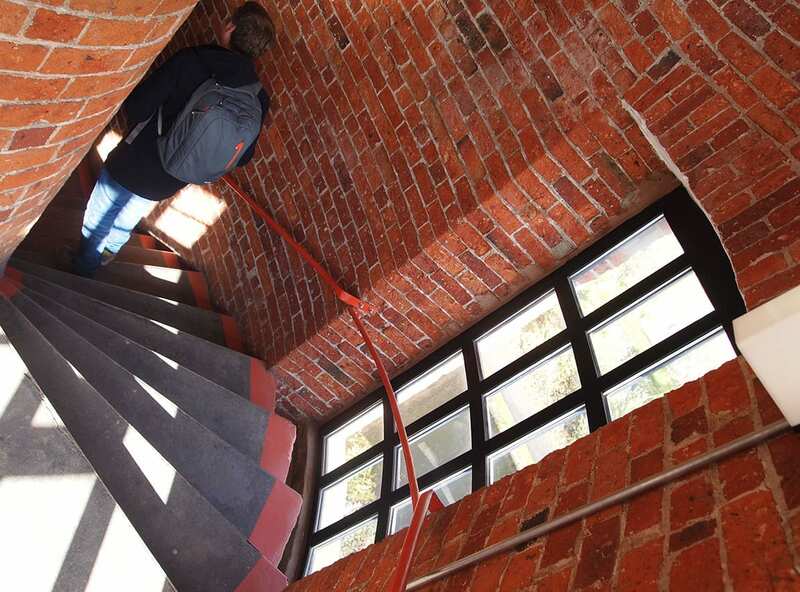 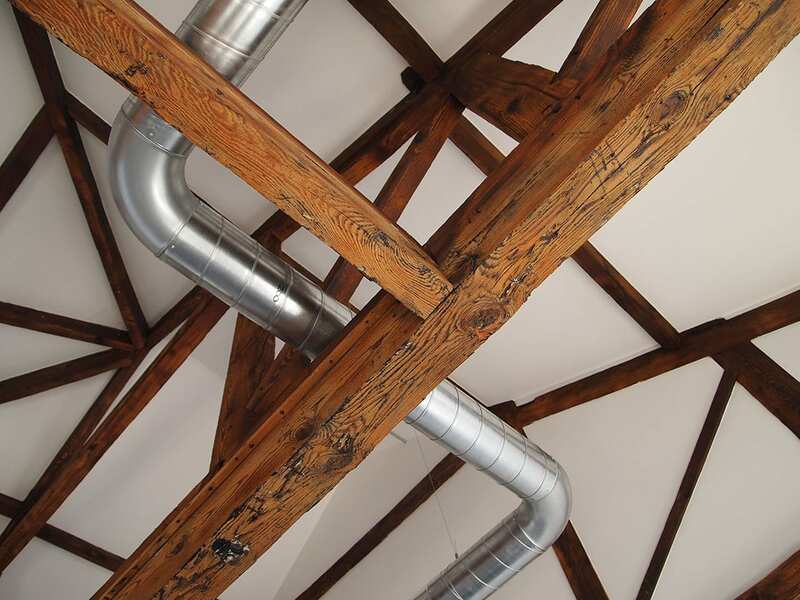 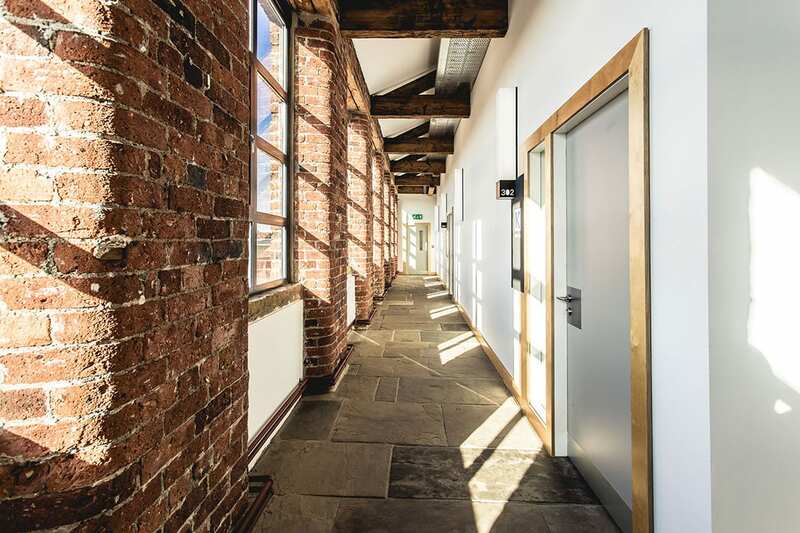 The aim was to restore and enhance the original features, as well as promote the cultural significance of the existing building. 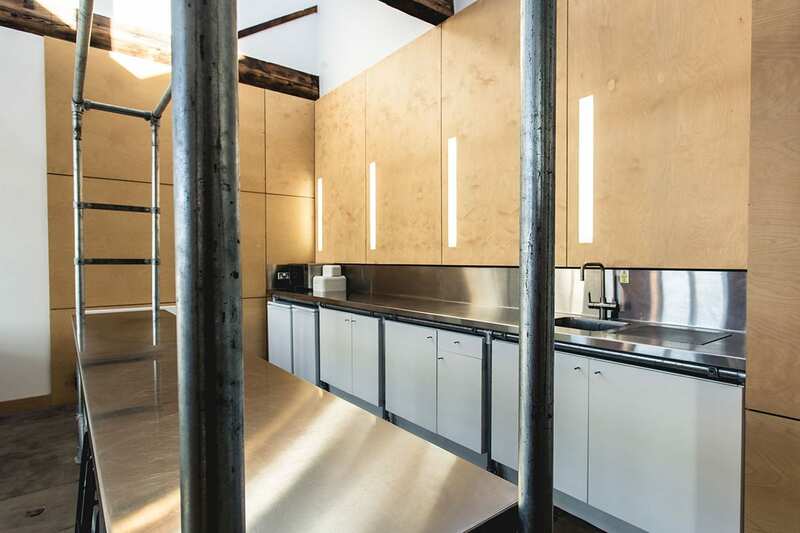 Interventions are designed in a small pallette of modern industrial materials (birch faced plywood, stainless steel and polycarbonate) that can be read concurrently with the listed masonry building without compromising its robust elegance. 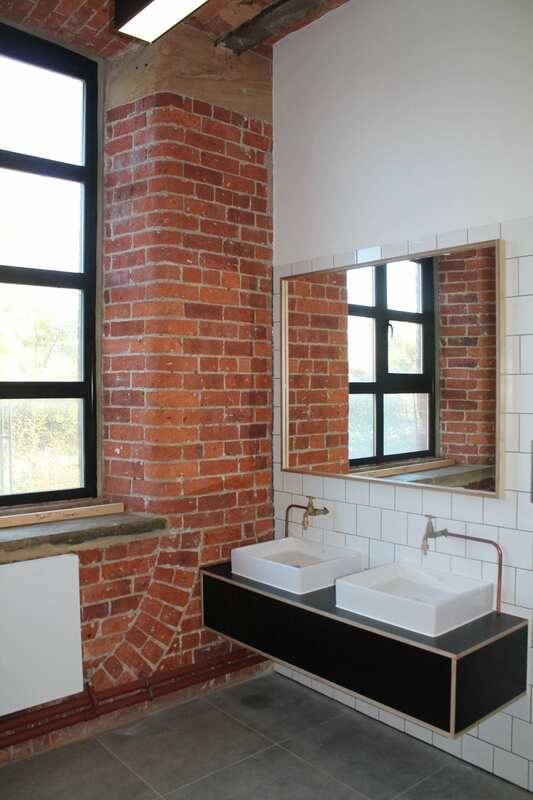 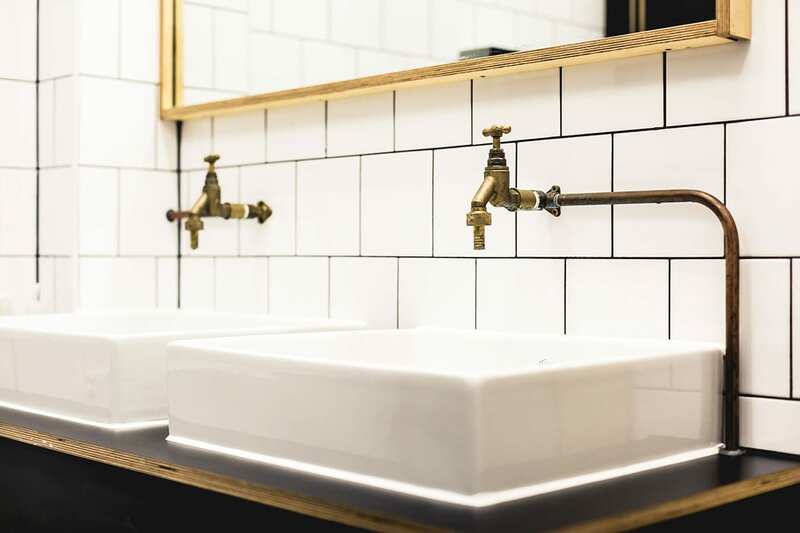 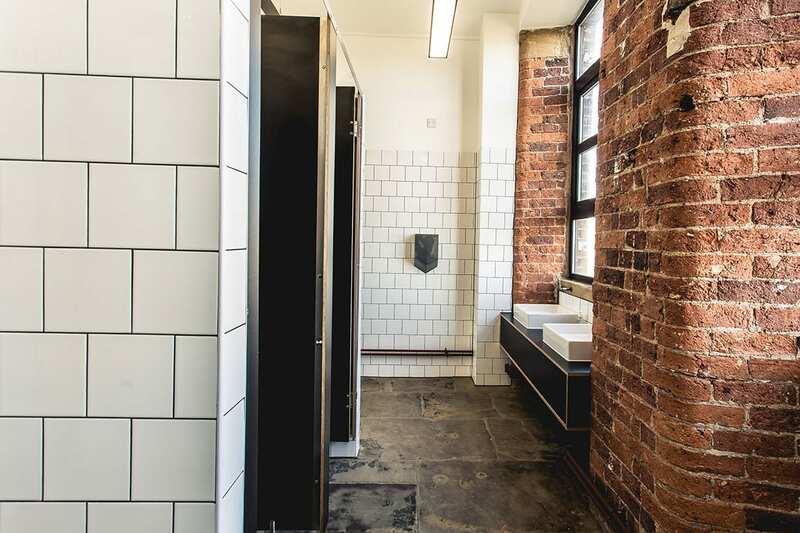 Bespoke toilets, kitchens, corridors, lighting, internal signage and wall linings run through the scheme unifying the different spaces and creating meeting points within the building for users to share and interact. 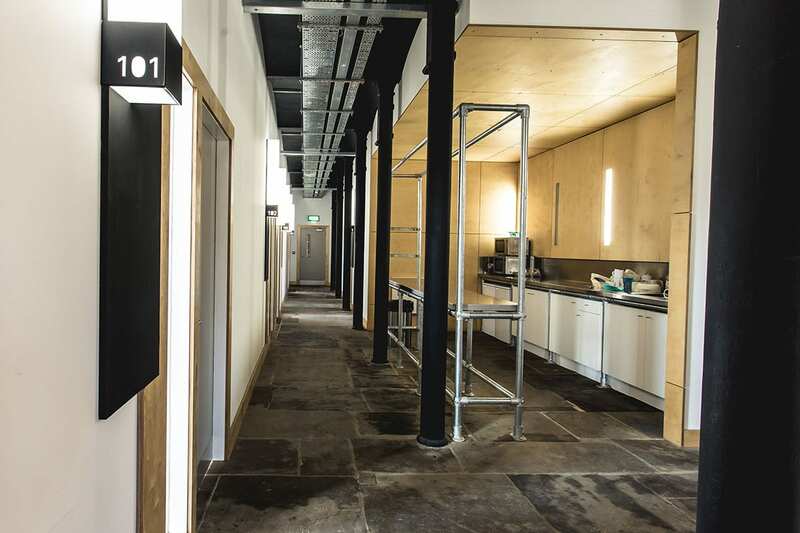 The development features co-work space and a series of different sized studios. 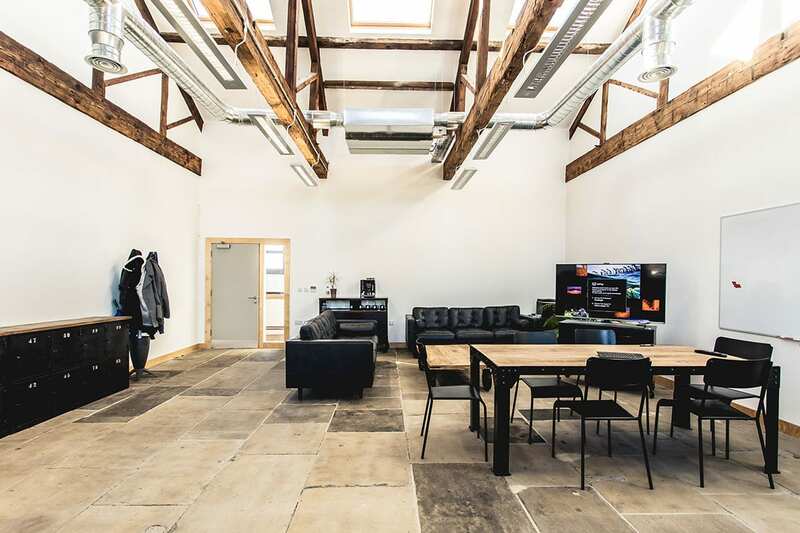 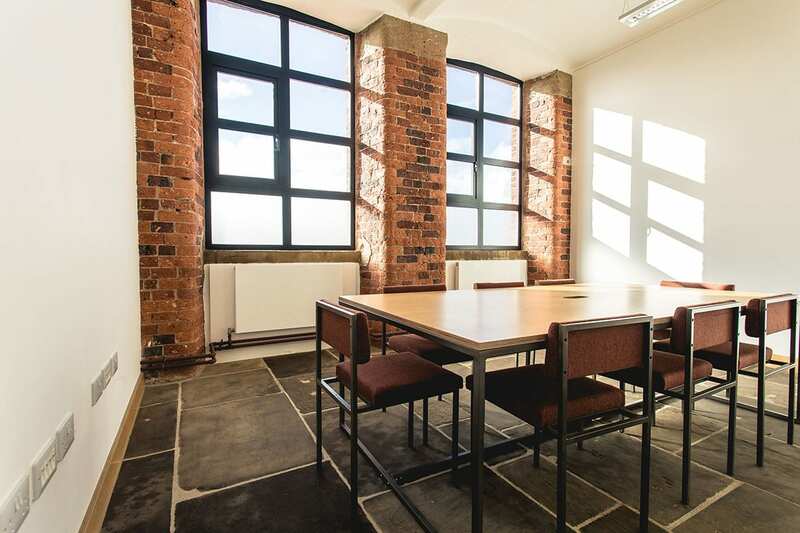 It has been hugely popular with small to medium sized creative start-up companies, who are able to move between the different rooms as they expand and contract. 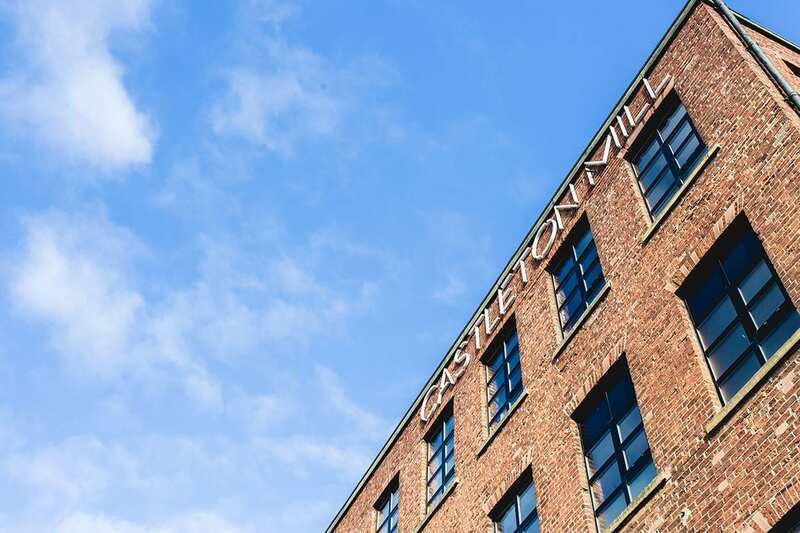 Externally the building has been sensitively restored, with elegant LED signage highlighting the building name and the change in use. 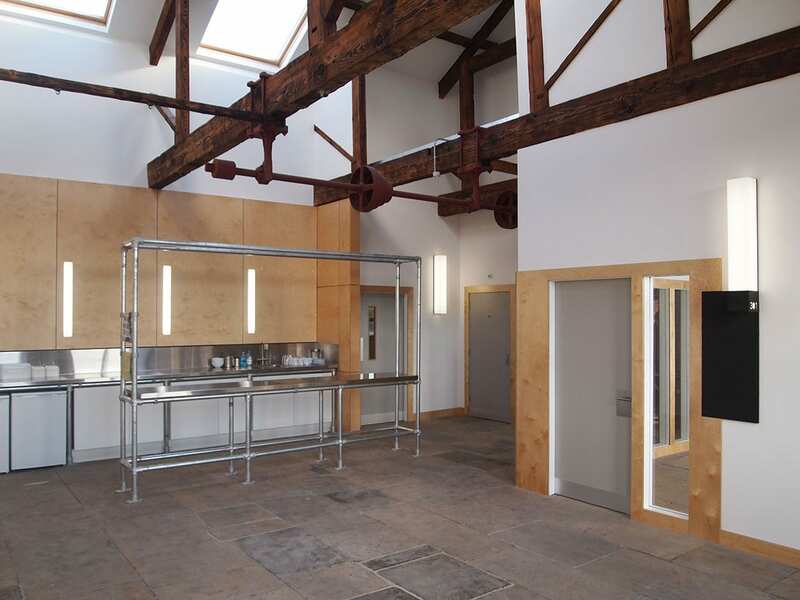 Partitions, services and approvals were provided by PARK Designed.